Back in 2009 Gaetani Insurance of Binghamton, NY asked my team to build them a great website. They considered images of burning buildings, crashing cars and even developing a mascot as they talked about what they wanted their new website to look like back then. Fast forward to 2015. Technology sure has changed in the last six (6) years! It's no longer about movement and Flash, it's about how mobile friendly you are. How quickly can visitors to your website find the information they're looking for and take that next call to action. When I talked with Gaetani about how much the online world has changed and how their website wasn't displaying well on smartphones and tablets, they knew it was time for an upgrade. But was it worth the investment? Gaetani Insurance said "Yes!". They're now proudly promoting their new website at http://gaetaniinsurance.com. My company is also thrilled to help them join the wonderful world of social media. Their business Facebook page is now branded to match the look and feel of their new website. We're also working with them on a 30 day kickstart program to ease them into this new social media arena. Thanks for the privilege of working with you, Gaetani Insurance! For those of you reading this, if you're looking for personal or business insurance, talk with Joe or Pat at Gaetani Insurance. They've helped many businesses save money and enjoy the entire experience. Check out what other business owners had to say. Freezing temperatures here in Binghamton, NY aren't the only things trying to hold up progress. I just talked with a successful business owner who said he still doesn't have a solid logo to use for his business. He's always wanted a good logo, but the file of ideas sat in the office and never went anywhere. After one of his employees suggested he should get a professional logo designed, this business owner realized it was time to move forward and not let the undefined logo hold up progress any longer. It's time to proudly show people who they are and build their brand. "I opened my Aviation Services business and struggled with a Logo that could be a company brand. 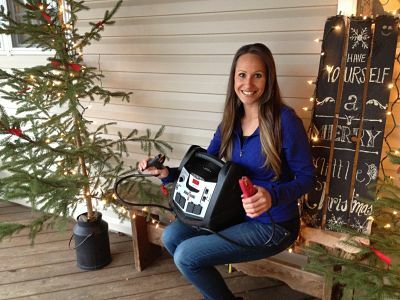 I met Amy and after a brief conversation, I knew Amy and her team were up to the task. Now I have a very recognizable logo, that draws attention, and will make people curious to know more. I love to fly, and her team accurately synthesized my previous military experience, my demeanor, and my Steve Canyon fondness into a Logo that represented my company. If you are on the fence of who to hire and why, I will tell you now that you'll be very pleased (beyond expectations)!" Considering a logo? Or a new one? - How will the logo look blown up? How will it look shrunk down? o How easy will it be to read your logo at a glance on a moving vehicle? o How will the logo look on a smartphone? - Could your logo easily be mistaken for something else? - How easy will it be to print the logo on a shirt? - How easy will it be to embroider the logo on a shirt or hat? - How will the logo look in black and white? Already have a great logo? Check out some fun logos we had the privilege of designing! Release that icy grip an undefined logo is trying to have on you. Let us help identify a logo you'll be proud to show off. Contact Amy at 607.427.2849 or fill out this form. Enter our Logo contest where you have the chance to win a free, custom logo design valued at $600. Contest running until Tuesday, January 13, 2015 at 8pm ET. Life has a way of sending the right influencers at crucial moments to help guide us. My life took a dramatic change at one such crossroad. My grandfather enlisted in the Navy during WWII when he was 17. He was passionate about preserving our freedom, and now my family was looking for a way to express our gratitude for his service. So my dad started a business to honor military veterans, "So Proudly We Hail". I was given the task of lining up advertising and producing the supporting business website and print materials. This was all very new to me, but I loved the thrill of marketing a business and honoring our military veterans. That is, I did enjoy it until I realized the website design company I hired was not going to have the website ready in time. Would we crash and burn? Or would we find a way to rise above? A week before the print ads were released, a friend referred me to a website design company in Binghamton. They produced a beautiful website design for us. Our marketing campaigns launched and, shortly after, the newspaper interviewed our company and some of the veterans and their families. From there we were contacted for a TV interview. It was thrilling to see these influencers come along at just the right time to change the course of our family business. But this was just the beginning. A love of website design and marketing had really been fueled in me. I received a call from the website company in Binghamton, NY, whom I had worked with, asking if I would help them generate leads and better serve their clients. I said "YES" and enjoyed learning more over the next couple years. From there I started my own website design company in the Greater Binghamton area, but it all comes back to the day we decided to honor my grandfather. I realized, though, that this wasn't just a random event that so dramatically changed my future. My path was being shaped much further back by great influencers. My dad is a man of great vision and taught me from a young age that anything is possible. He also instilled a love of business, finance, marketing and honorable character by setting an example and allowing me to be a part of anything he was involved in...he set my sisters and I up selling Uncle John's Sweet Corn at a young age, he gave me a book to track my finances at age 11, he let me help pilot his plane while he took aerial photographs, he infused enthusiasm for our entire family to help build our house from the ground up, and he taught me to enjoy the journey. Today I found a note my mom wrote to me a few years ago that seemed to sum things up appropriately: "It is so easy to get discouraged with how things go in life – one day you see hope or determine to be content and the next day all hopes are dashed because this or that happens – kind of like a roller coaster ride (you like the thrill of those rides – don't you?). Well hang on...today and each new day when "obstacles" come may you stand strong...keep the bar down and hold on." Behind the scenes there are always influencers at work. I'm blessed to have a long list of people who have invested in my life. I would count it a privilege to play a role in investing in you and your business and helping you see the success you've envisioned. P.S. Our So Proudly We Hail business is no longer operational, but it was a great stepping-stone. Maybe one day soon we'll open the doors back up. Ever been around someone who always seems to be filled with life? They radiate with energy and enthusiasm. One thing I appreciate about my web design business is the privilege of connecting with business owners and individuals who permeate with great qualities. These connections make my world a better place by infusing energy into my daily work activities. I learn from their challenges and successes, and hopefully give back energy and enthusiasm. 1. When I intentionally listen to what others have to offer and what they are looking for, I'm amazed at how quickly I find a solid connection. Several weeks ago while on a trip, I suddenly realized I was in my own little world and not really listening. I snapped out of it and found a wonderful connection that turned into multiple leads without even trying. 2. Be creative, show you sincerely care. I love looking for ways to facilitate introductions. Sometimes it's as simple as shooting out a text, other times it may involve demoing the product/service, or hosting a networking lunch. 3. Let others know what you're looking for. Your key networkers will spread the word. This past weekend one of my networking contacts met a businessman who offered the exact service I was in need of. Let others work for you, while you work for them. Life is built on teamwork. 4. Follow-up immediately on referrals. We all like to be taken seriously. I've found when I act on referrals right away, chances are I'll be awarded the opportunity. Plus, your contact is now seen as a hero, and your newest hero is now thanking you for taking such great care of their connections. 5. Follow through with what you've started. If you've told someone you'd make a connection for them, make it a priority. I've found it's best to avoid making promises I can't keep. Help facilitate connections, but avoid forcing them. Six. Have Fun! If some networking opportunities seem to fall flat, move on, mix things up. Last week I met with a group of business owners in the Binghamton area that didn't seem to go anywhere. I sure was surprised when one of the business contacts followed up and said they needed custom programming and coding for a website. 7. Make it a way of life. Fit it into your every day conversation. Enjoy getting to know the people around you. Even my grandparents send me leads on website coding and design. All I have to do is stop by, chat about life, and next thing you know, my phone is ringing from their referrals. Allow others to be a part of your success. 8. Exceptional customer service goes a long way in encouraging my clients to spread the word to their connections. Give people something great to talk about. Whenever challenges come up, face them head-on. I've found challenges tend to cause my clients to have more respect and admiration for my company. 9. Be approachable. I call it the "Yes" face. I love being the point person. Looking for something? Even if it's not custom programming or coding for a website, I just might have a connection. Ask away! 10. Be yourself. We can all read right through those who have a "hidden" agenda or are only looking out for their own best interest. Sow good seeds and you'll reap an incredible harvest. After being in the website coding and design business for six (6) years, I can say the return is well worth the effort. I'm always looking for more great connections! What tips have you found helpful in connecting with others? I'd love to hear them. It's time to turn on the big screen, pull out the popcorn and open the energy drinks! We're here with one of my clients to reveal the new website my team designed. This is one of my favorite moments in the entire website design process. • My client has described what they're looking for in a new website. • We've listened and put all our graphic design skills to work. • The new website design is poised and ready for launch. 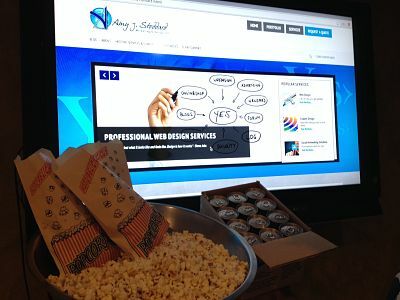 Every client experiences the anticipation of seeing the website they've envisioned come to life. In fact, I catch myself holding my breath, too, as I watch their faces to see how they will react. 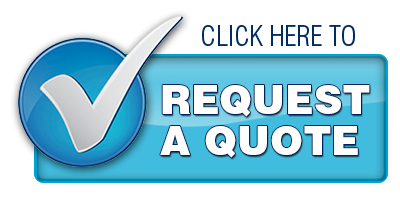 We want to assure you that the security of our customers is always a top priority. 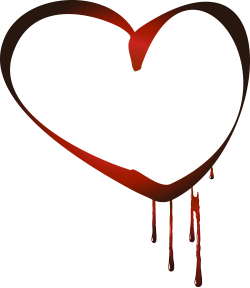 We began addressing the Heartbleed vulnerability issue immediately upon disclosure and have successfully applied patches to all of our platforms. The likelihood that private information was compromised is very minimal due to the lack of a public exploit at the time of the disclosure. We will continue to work to protect the security of our customers and their data. 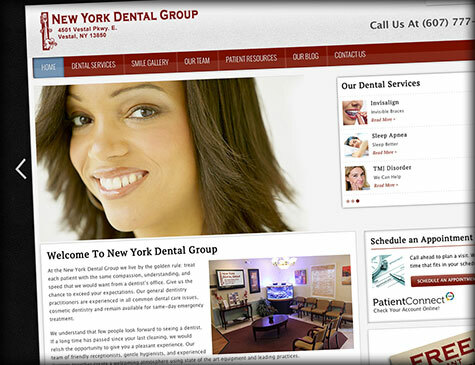 Amy J Stoddard, Marketing & Design is very happy to announce the launch of New York Dental Group’s new website. The website design was developed using the powerful content management system Joomla. You’ll notice how the modern, professional website design has a very high usability factor due to the responsive website layout that can adapt to any screen size and device. 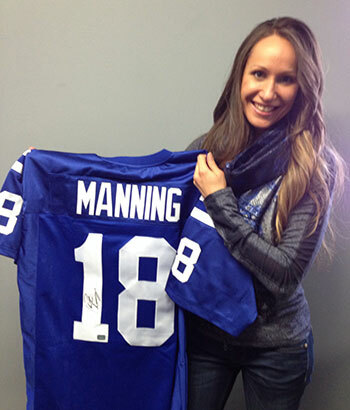 So Super Bowl Sunday I had my picture taken with my friends’ Peyton Manning autographed jersey (yep, that’s his Colts’ jersey). Wish it was mine, it’s worth quite a bit! But then Manning’s team lost in the Super Bowl and I had to ask myself: Is Peyton Manning still worth being associated with? In just the last few days we’ve had many opportunities for connecting with greatness and marketing to the public. I love surrounding myself with people who put forth exceptional effort to excel above the norm. When I hear how they developed the desire to become the best and what fueled that passion, their enthusiasm energizes me. One area of excellence I’ve always appreciated is flying. At a young age my dad instilled a love of taking to the skies. I’ve enjoyed learning about the various flying machines, learning to fly before I was old enough to get a license, and flying in an open cockpit. When it comes to developing a following, I had an eye-opening experience this past weekend. In a world where social media is so impactful, it made me consider how valuable real-life interactions are. Granted, I’m one of the first ones to utilize social networking for growing my business, but what if we could combine social with real life? 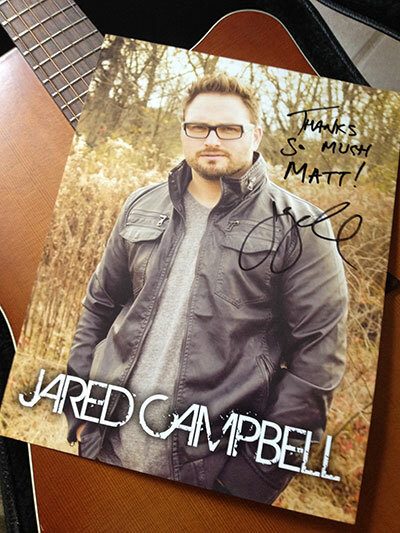 At the latest CD release party for Jared Campbell, I saw first-hand why it was sold out. Jared is a local artist who has worked his way into the hearts of fans that will forever be his followers. How has he done this? By intentionally connecting with real people. It’s a year of new possibilities. But how do we turn those possibilities into realities? My family has been one of the greatest assets in my life. They’re my biggest cheerleaders. It’s exciting to think that in April it will be the start of my 6th year in business. I think because my family taught me how to enjoy life, this has allowed so many possibilities to turn into realities. We look for the best, work through the rest, and in the end I know I am blessed. One such moment of enjoying life was at The Molyneaux’s Christmas Tree Farm. 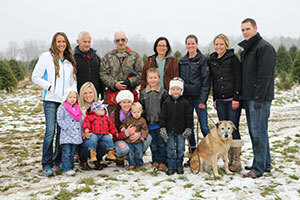 Four generations of Stoddard’s enjoying the hunt for the perfect trees. Granted, not everyone was able to be there, but at least we had almost 50% representation! My nephews loved the experience of being like tough guys using the saws, and it was the perfect day to relax with family. You can watch a video of it below. What if you could overdetermine success? 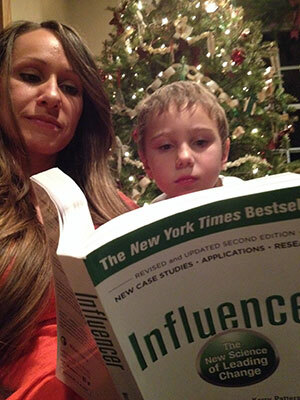 That’s what I was primed to do after reading the book "Influencer". Recently I had the privilege of hearing Joseph Grenny speak at a leadership conference. I was so motivated by the simplicity and thorough genius of his talk, that afterwards I bought two of his books, along with the companion DVD’s and CD’s. While pouring through them, light bulbs kept going off. No wonder certain projects were so successful, and others so second-rate.